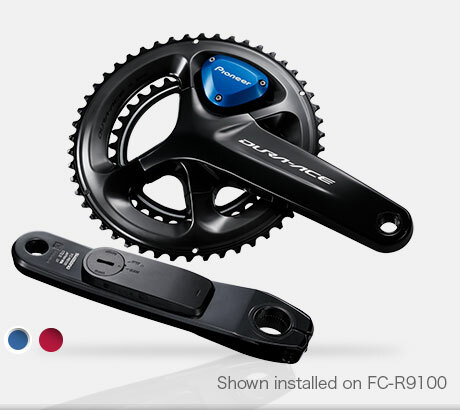 Compatible cranks: SHIMANO "FC-R9100", "FC-9000", "FC-6800", Camapagnolo "POTENZA 11"
Expansion of newly installable crank models Shimano "FC-R9100" and Camapgnolo "POTENZA 11". 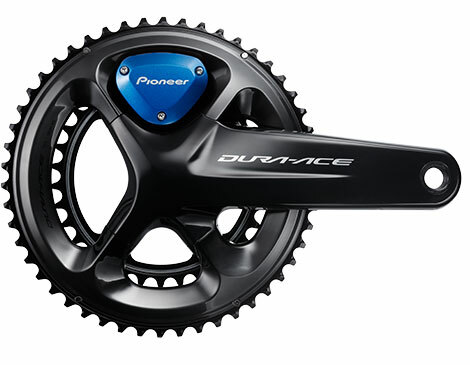 The sensor precisely tunes sensitivity according to the crank's material and its rigidity. New metallic blue color available for the right-side transmitter cover. Switch between this color or the original metallic red to match your bike color or suit your style. Compatible with 165/167.5/170/172.5/175/177.5/180mm crank lengths and 50-34T / 52-36T / 52-38T / 53-39T / 54-42T / 55- 42T cranksets. 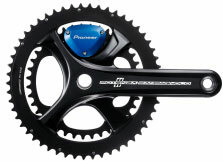 Compatible with 165 / 170 / 172.5 / 175mm crank lengths and 50-34T / 52-36T / 53-39T crank sets. 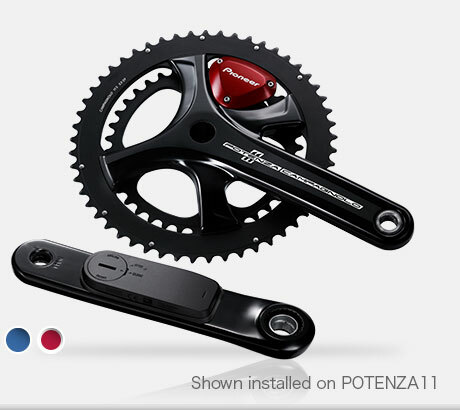 Compatible with 170/172.5/175mm crank legnths and 50-34T/52-36T/53-39T cranksets. 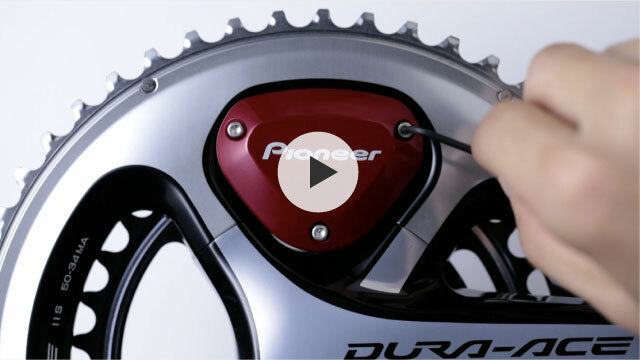 *Confirmation of compatibility with your bike is required before buying the product in store. 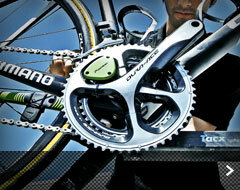 There may be times where installation of the crank above may not work due to interference with the brake or bike frame. other ANT+™ compatible Cycle Computers when the Pedaling Monitor Sensor's left and right battery needs replacement. This will be displayed when either of the left or right batteries become 2.5V or less. 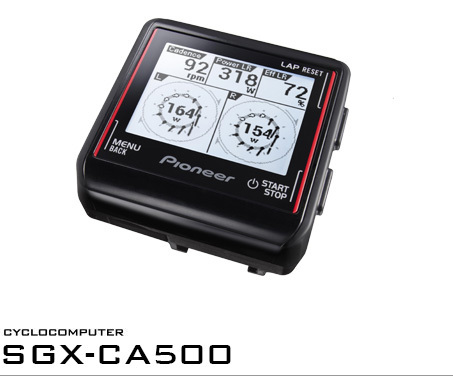 or have to monitor the voltage displayed on the SGX-CA500. *As a guide, it can be used for about 10h after notification. The time may vary according to the usage environment. 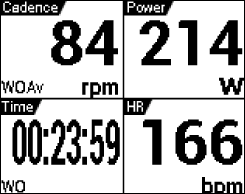 how to do power training, etc., or analyze data. motivation for training is increased, and the next tasks and goals can be set. 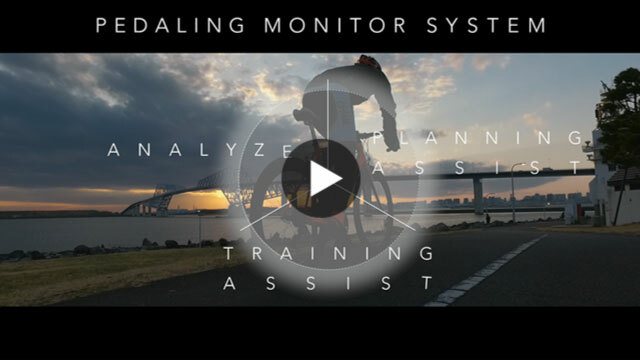 *The "SGY-PM910H" is the first system to measure and display results for every 30˚ of pedaling rotation. the "SGY-PM910H" measures "force" and "direction of force" in 12 locations per cycle. 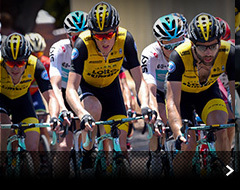 and quantify your performance as a "Pedaling Efficiency" value. 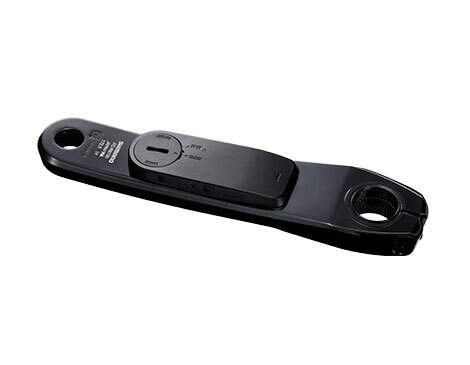 use for one leg only for pace control during a race, and more. 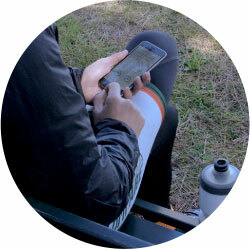 The device has a wide range of uses to fit your goals. 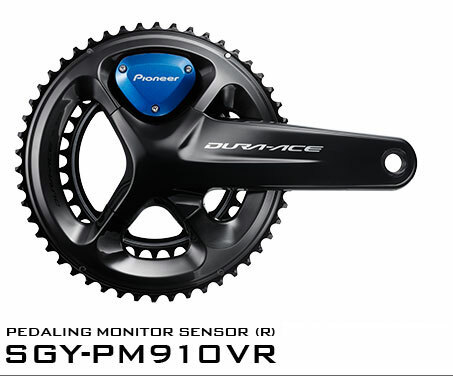 * SGY-PM910V is in dual power meter mode when it is shipped from the factory. can update each device for similar use. 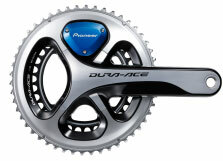 Now with slim-line right crank chain ring adapter and left sensor parts. Two types of magnets are used for rotation detection. 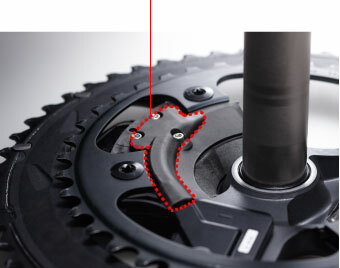 With flat sensors and magnets that mount to the shape of the attachment, a wide range of bicycle types are supported. 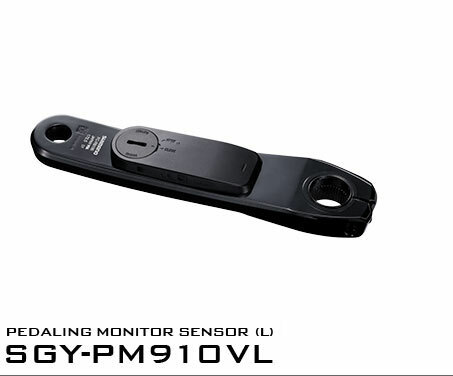 the SGY-PM910V is accurate and reliable even under the variety of environments faced during top athlete trials. Operates in -10℃ to 50℃ temperatures. in addition to the original button operation for quick and precise zero point calibration. 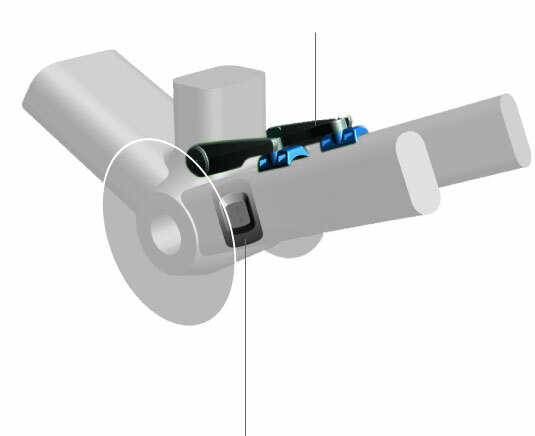 and takes about 5 minutes when either of the left or right crank arms (sensor side for single types) are set vertically on land. Useful for real runs or after roller training. appears on-screen on SGX-CA500 or other ANT+™ compatible Cycle Computers. 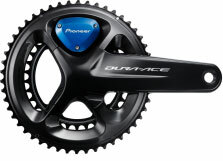 Easily performed by opening and closing the right crank transmitter cover and left crank sensor unit. 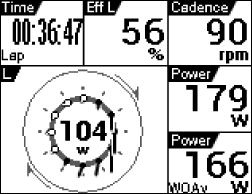 *An orange light will turn on during dual power meter mode, and an orange light will blink during single power meter mode. 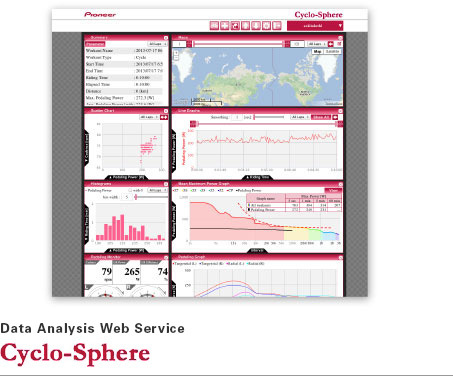 Cyclo-Sphere, a data analysis web service Cycle computer uploads acquired ride data to the cloud, making map and graphical displays available on the browser. 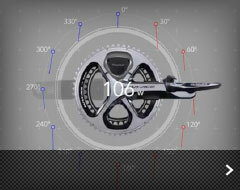 Ride data for training and races can be analyzed, to help support you in achieving your full potential as an athlete. 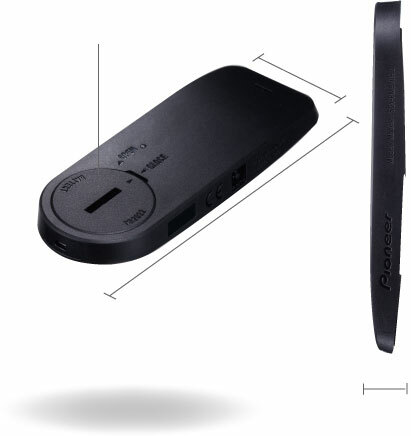 *1 ANT+™ is a low-powered wireless communications standard using the 2.4GHz range. *2 The battery operating time may decrease depending on the operating conditions. *4 Wi-Fi Internet connection required. 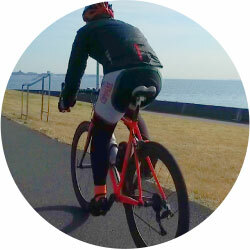 Bracket is designed for use on a 22.2 mm diameter aerobar. 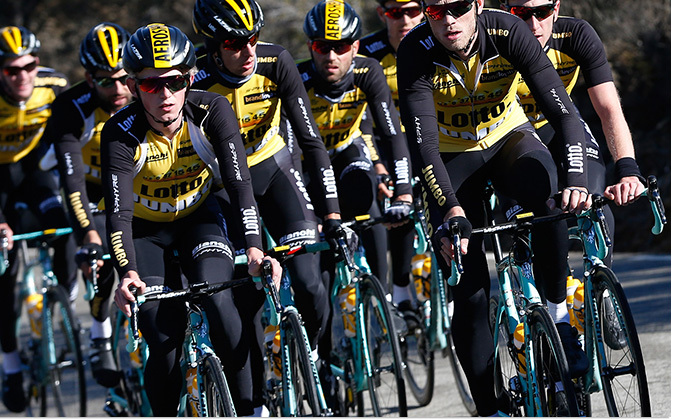 Suggested installation position is on the right side of the aerobars. 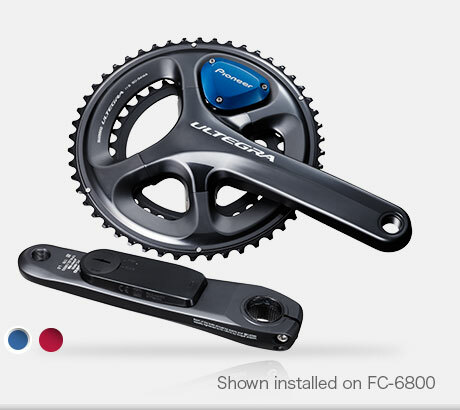 In that case, the space between the left and right bars must be more than 65 mm. The angle of the product cannot be adjusted. 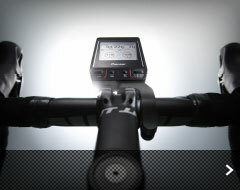 Depending on the shape of the aerobars,the Cyclocomputer may not be parallel to the bars. 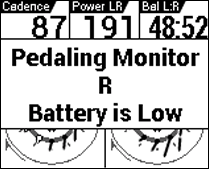 The Pedaling Monitor is compatible with 4 types of Bottom Bracket *4; SHIMANO HOLLOWTECH II, BB86, BB30 and PF30. 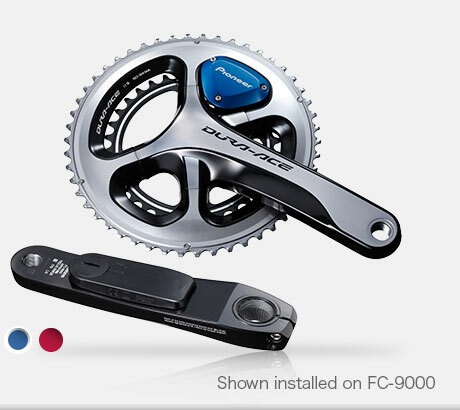 For HOLLOWTECH II the standard SHIMANO Bottom Bracket（BB9000、BB7900、BB6700）may be used, but for BB86, BB30 and PF30 the Bottom Bracket must be replaced with our specific Bottom Bracket Option Parts. These Option Parts are available with Steel or Ceramic Bearings. 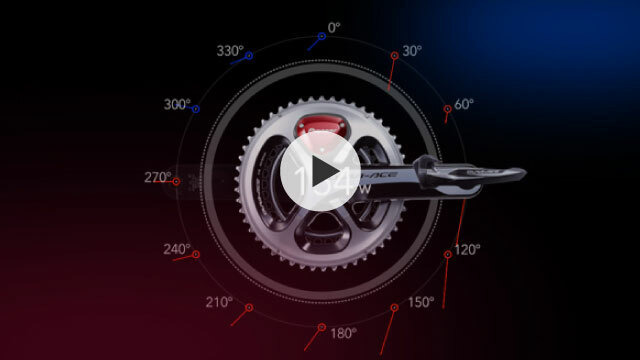 This is the power applied in the direction opposite to crank rotation and the power applied in the radial direction. *3 The battery operating time may decrease depending on the operating conditions. 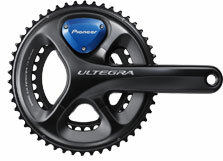 *4 Compatibility with a specific Bottom Bracket does not guarantee compatibility with all frames using that Bottom Bracket. Please consult you dealer. Added auto zero point calibration in addition to zero point calibration. Easy maintenance possible, such as with battery replacement. Compatible with Shimano cranks "FC-R9100" "FC-9000" "FC-6800" "FC-5800",XTR Trail "FC-M9020", XT "FC-M8000", Campagnolo "POTENZA 11" crank, FSA "SL-K LightBB386EVO" crank, cannondal "HGSISL2/HGSI".